Today’s society is living beyond its means. Not only are resources finite, but it is also important to take a step back from our habits and ways of thinking. Closing the loop is essential. In order to reach this goal, a set of frameworks and tools needs to be established. Different players are working towards the benefits of a Circular Economy. Part of this talk will be to show the current status both from a political and economical point of view as well as a look ahead into the future developments and possibilities. Join us and take the opportunity to learn and discuss the role of the economy, politics & start-ups in the development of a more circular economy in Europe. The event is supported in part by the R2Pi Project from ESCP Europe’s Research Center Sustbusy. 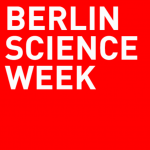 The Circular Economy Talk ist part of Berlin Science Week (1 – 10 Nov. 2017), an international gathering, bringing together people from the world’s most innovative scientific institutions during 10 days in Berlin. It is dedicated to the dialogue between science and society to inspire a deeper understanding of our world.